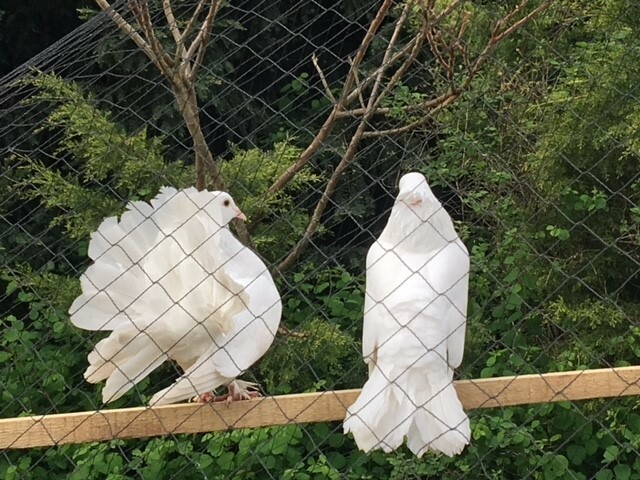 I have a number of fan tail doves for sale. all with lovely full erect tails. I have a mating pair at 25 for both birds. Single doves at 10 each or 4 for 30.